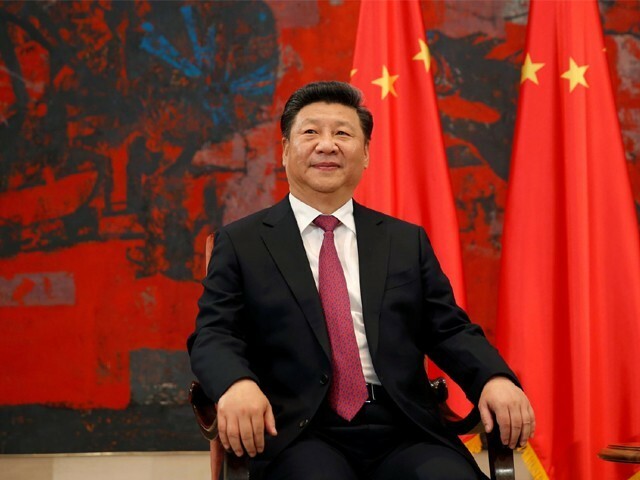 The anointment of President Xi Jinping as the ‘core leader’ in the recently concluded 19th Chinese Communist Party congress, and by enshrining his thoughts on “Socialism with Chinese characteristics in a new era” in the party’s constitution, Jinping has elevated himself to the exalted status of Chairman Mao Zedong. Like the Little Red Book, Jinping’s thoughts have now been made compulsory reading for Chinese students, government officials and party functionaries. Jinping, before the convention of the congress, where his elevation was a foregone conclusion, had systematically purged all his potential rivals. His Machiavellian statecraft had ensured that he had a vice-like grip over the party. Added to this, by not naming his successor, he has ensured complete support for his supremacy in the party. This has, in a way, put an end to the collective leadership the party has been following for the running of the country. Today, China under his leadership has emerged stronger, both economically and politically. In the leaders’ column published in The Economist, Jinping has been described ‘as the dominant engine of global growth’. He was also described ‘as an apostle of peace and friendship, a voice of reason in a confused and troubled world’. China’s economic and military clout has ensured that Xi is one of the most influential leaders of the world. Another aspect of the growing Chinese clout can be seen the way they have invested trillions of dollars in the One Belt, One Road (OBOR) project. China is investing heavily in Pakistan and other countries falling in the old silk route, which will help speed up the economic development of these countries. OBOR is one of the largest and dominant initiatives that straddle through both economics and geopolitics. However, in spite of the growing influence on the world stage, many countries like Japan, India, South Korea and many South East Asian countries have been wary of China. China’s aggressive policy in developing its military base over the disputed territories falling in the nine-dash line in the South China Sea, ignoring the several competing claims of smaller countries, has caused unrest in the region. Recently, China unilaterally started building a road in the disputed Doklam plateau, of which Bhutan is also a claimant, by sidestepping the understanding it has with the country that they would maintain status quo in the region till the settlement of the dispute. Fearful of the Chinese expansionist policies in the region, Bhutan approached India for help in terms of an agreement with the country that it would protect Bhutan’s interests. It was India’s timely intervention by sending troops to the Doklam plateau which forced China to halt its activities. One can think of two examples of the expansionist policy of China overriding the legitimate concerns of the parties to the dispute. First, the illegal building of roads in the Doklam plateau; and second, where Bhutan is a party to the dispute. In spite of the propaganda blitzkrieg launched by China via its print and electronic media, accusing India for its aggression in the Doklam plateau and warning India of severe consequences if it failed to withdraw its forces from the disputed territory, India had remained firm in its position and refused to be cowed down against any intense pressure by China. Many of the countries, including Russia who has close ties with China, preferred to remain neutral. They, in fact, advised China to settle the dispute through dialogue. Another example is China’s refusal to accept the verdict of the Permanent Court of Arbitration, in a case brought up by Philippines over the illegal construction activities in the Scarborough reefs and shoals. Interestingly, China is a signatory of the United Nations Convention on the Law of Sea, which had established the tribunal to adjudicate the dispute. As expected, China has refused to accept the verdict of the tribunal by claiming that these islands and shoals were once part of the Ming dynasty. This ruling will now embolden Vietnam, Malaysia, Brunei, Taiwan, Philippines and Indonesia, who have an on-going dispute with China over its claims on Paracel and Spratly Islands. This verdict will now encourage the parties to the dispute in approaching the Permanent Arbitration Board for justice. China’s aggression of riding roughshod over the claims of other countries in the nine-dash line has mainly been due to the waning influence of the US, under the presidency of Donald Trump, in the region. Most of these countries that have dispute over the territorial claims of China are not sure of the potential outcome as a result of a conflict with China. It is for this reason that some of the claimants have preferred to negotiate directly with China to settle the disputes, as it feels that the US can no longer be trusted to back them in the event of a conflict with China. China, on its part, though, has agreed to negotiate directly with the Philippines, Malaysia and Vietnam through dialogue, to extinguish any US intervention. However, recent satellite images show that China is continuing with major expansion of runways, ports and airport facilities in the disputed islands. Being well-versed in Chinese history, it can be said that the country has never known to renounce its claims over territories that are under dispute. Therefore, it is unlikely that China would agree to any compromise over its claims over the Paracel, Spratly Islands and Scarborough shoals. China’s other neighbours, especially Japan, India, South Korea and South East Asian nations are already bearing the brunt of Beijing’s recidivist policies. In the case of India, it is wary of the rise of China, both militarily and economically. It is for this reason that it has decided to upgrade its military hardware. India had also successfully averted a potential war over the Doklam plateau by physically stopping the Chinese from building roads in the disputed territory. China has also realised that India, under the leadership of Narendra Modi, unlike other countries, can’t be pushed over. It is for this reason that it decided to diffuse the tension in the region. Jinping, backed by a strong political and economic might, is striving to become a global leader. He wants to step in the shoes of the US president, who has ensured that the US no longer enjoys the leadership it enjoyed under various presidents. If Jinping wants China to be accepted as a global leader, he needs to recalibrate the aggressive foreign policy of settling its disputes peacefully with all its neighbours in a spirit of mutual accommodation. Today, China has emerged as one of the fastest growing economies of the world, with the potential of displacing the US economy by 2050. However, its aggressive foreign policy may come in the way of being accepted as a global leader. One would have hoped the Doklam standoff with India would have taught them a few lessons in international relations. India, on its part, should reconsider its refusal to join the OBOR project. If it has any genuine apprehension, it should engage with China to clear any doubts it may have over the project. This would go a long way in strengthening its bilateral relations. Moreover, India should also be wary of joining any axis to counter China as it may not be beneficial to it, as we have seen from the past that the US can’t be depended on to support its cause. Lately, the US has expressed its willingness to supply F-16 and F-18 aircrafts, and has shown interest to upgrade India’s military hardware. However, looking at the past US approach, where they had steadfastly refused to provide state-of-the-art military hardware and fighter planes, one is not sure that this time the US will come to India’s rescue to modernising its army, air force and navy. Even if they agree to supply F-16 and F-18 fighter jets, such assistance may come at a heavy cost, which India can ill afford. India should also pursue a two-pronged approach in its foreign policy while dealing with China. First, it should continue to engage with the US and impress the leadership to play an active role in the region, so that China can be kept in check. However, at the same time, India should also strive to improve its relations with China to avoid any potential conflict. Such a policy will go a long way in diverting its precious resources for nation-building activities. If China aspires to assume the mantle of global leadership, it needs to recalibrate its aggressive diplomacy, which has often run roughshod over the claims of other countries. If it continues to be guided by an aggressive policy, it may trigger an arms build-up to counter China. India has already taken steps to modernise its military hardware for any eventuality with China. There are also talks of Japan and India joining hands to halt the Chinese juggernaut by forming an alliance to act as a counterweight to China’s expansionist policy. One hopes China draws lessons from the Doklam standoff. China has an awful record of human rights. Common websites like google, facebook, twitter are blocked in that country, so that they can contain dissent. They want their citizens to just comply with state’s orders like Zombies. Only extremely desperate countries with dictatorial genes would accept China as their master. It was India who supported China in 1950 war against Japan, South Korea, Tibet, USA etc. It was India/Nehru who were supporting imperialism of China. Why blame China now, when you can blame India/Nehru? India also make roads in Arunachal Pradesh (which is a disputed territory). If India can make then why not China? It was Nehru who said that China can make roads in disputed territories of Aksai China and other disputed areas. So what is the problem now? China not following International court ruling is certainly disaster as she wanted to rule the world with might is right. But China is doing that since 1949 and in those days Nehru used to help her. Only difference between those days and now is that China doesnt need India anymore. Russia also doesnt follow IAC and has taken crimea from Ukraine. World is shifted from Britain to USA and now shifting from USA to China or say a new world order. After some centuries you can expect it to move to Muslim Ummah. Embrace the change, China going to be sole superpower within 1-2 decades is reality and that would bring a new world order in some countries and chaos in others. USA declining influence is reality and has nothing to do with Trump. China rise has a Nehru/India hand. Nehru promised in 1954 if Pakistan support Russia and China, India will gift full J&K to Pakistan but Pakistan decided to sign Cento, Seato etc with USA. The quest for ‘ empire building ‘ is as old as time itself ……. with trade coupled with military power being the main engines driving this quest. With all the past cases the flaw was that the empire builder ‘ took to enrich itself ‘ and gave very little back. have a small rear view mirror sewn into their uniform epaulets. To help them see behind as they run backwards to their barracks.